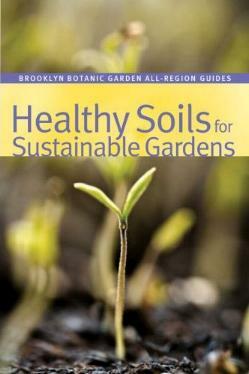 At the time we're contemplating our gardens (early spring), it might be a good idea to read this useful and up-to-date book on soil. We've managed, as the human race, to screw up almost everything we have on our planet, but for those who are interested in growing their own vegetables and/or flower gardens, then you should at least know a little something about your soil. It says in the Introduction: "Soil is a complex ecosystem, teeming with microscopic life. Moreover, the health of your soil and the creatures living in it determine your plants' health - and ultimately your own". Good enough reason to know your soil? You'll learn about the texture of soil (sand, silt, and clay), the structure of soil, the formation of different soils, soil ecology, fertility, minerals, the making and benefits of compost, mulching, and much more. There is much more going on (and living in) in your soil than meets the eye, surprisingly. The more you know about the ground in which you plant your flowers or vegetables, the better chance they'll have of thriving. Without being too hard-to-understand-scientific, this book offers easily understood aspects to the nutrients plants need, soil composition, soil care for a wide variety of soil types, and just about everything you need to know about growing plants. In all my years, I never knew what the letters pH stood for - now I do - potential hydrogen or power of hydrogen. I knew what the test was, but that was it. Conclusion - Infinitely interesting and an essential book to have if you're starting (or already have) your own garden.